An early morning fire on January 15 completely destroyed Salmon Arm’s Granite Creek Estate Winery and its entire inventory except for stock in the wine shop, which is in a separate building. The two-storey winery building was located across a forested ravine, perhaps 100 yards from the Kennedy home (which houses the wine shop). Gary Kennedy, Heather’s husband, spotted the flames about 4.30 a.m. The winery was fully engulfed by the time the firefighters arrived to contain the fire’s spread. A nearby vineyard was unscathed. “Thank God it didn’t get the house,” Heather is quoted as saying. Cause of the fire has not yet been determined. The source was in the winery basement. It is not considered suspicious. This is just the second time in the history of B.C. wineries that fire destroyed a winery. During the summer of 2003, the massive forest fire southeast of Kelowna razed the St. Hubertus Estate Winery processing facility. However, St. Hubertus was more fortunate. Except for a few barrels of port, the wine inventory had all been bottled and was in a warehouse that was untouched by the fire. Established in 2003, Granite Creek made about 2,000 cases of wine in the 2012 vintage. The following is the winery profile from my book, The Wineries of British Columbia, published in 2009. 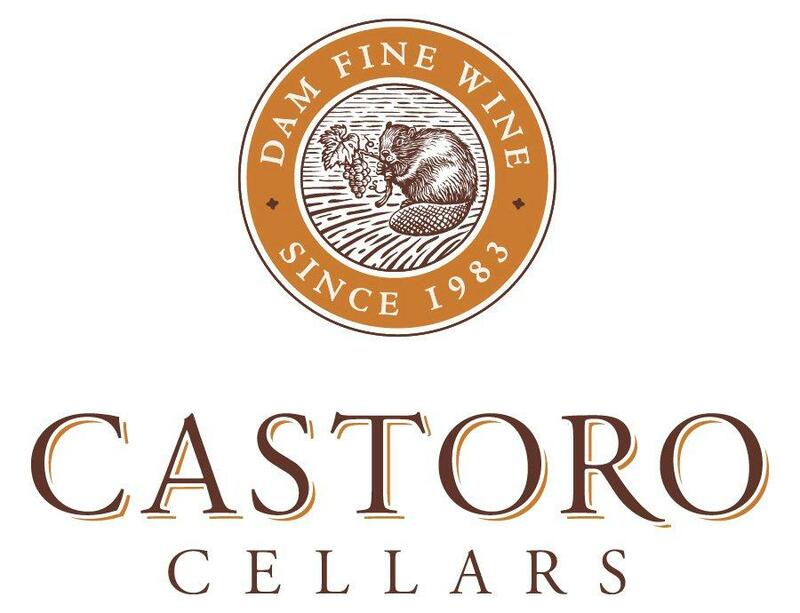 Since then, the number of wineries in the Shuswap has grown to six (or eight if the wine touring borders extend as far south as Armstrong. The employment details in the profile are no longer current. 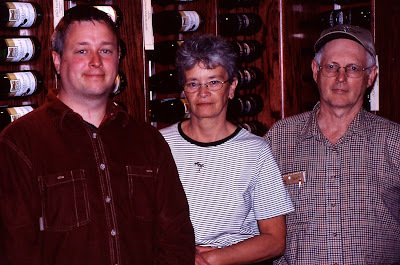 Granite Creek is a partnership of two of the three generations of the Kennedy family that have farmed in the Tappen Valley since 1959, when Robert Pemberton Kennedy moved there from the Fraser Valley. Gary Kennedy, Robert’s son, was completing a doctorate in agricultural engineering at the University of British Columbia when a family crisis required him to come back to the farm. Doug Kennedy, Gary’s son, was born in Vancouver in 1972 while his father was at university. Doug and Mayka, his Polish-born wife, juggle winemaking with bringing up daughter Gabriella, and pursuing international careers in the oil industry. And Heather, Gary’s wife, looks after the tasting room when she is not cuddling her granddaughter. Granite Creek offers the complete family winery experience. Once an organic farm and likely an organic vineyard in the future, the Kennedy farm formerly produced livestock and dairy products. After leaving that business - most of his family were not interested in dairying - Gary canvassed other opportunities to keep farming his land. He compared the Tappen Valley’s climate with wine regions in Europe and New Zealand, brought in two consultants and settled on vines. “We’re right out in pioneer country here,” he observed a few vintages into the project. In 2003, the Kennedy family planted four hectares (10 acres) of vineyard and, a few years later, cleared another hectare on a hillside. There is considerable potential for more vines as the winery grows. The vineyard was planted primarily with Gewürztraminer, Maréchal Foch, Kerner, a significant test plot of Pinot Noir and small plots of about ten other varieties. As a professional agrologist, Gary Kennedy is proceeding carefully to determine the vines best suited to the site. Doug hopes that Pinot Noir in particular will be one of the successes of this test. “If it works out, it could create quite a unique wine in our area,” he says. His father believes it will be 2010 before they will know with some certainty whether Pinot Noir will succeed. Foch, on the other hand, is doing very well. Other varieties, including Syrah, Merlot and Gamay, are produced for Granite Creek by contract growers near Oliver. Climate change one day might bring the Tappen Valley’s growing conditions closer to those of the Okanagan. For now, however, the valley has a shorter season, cooler nights and more rain – so much so that several vineyards in the area have not installed irrigation. Initially, Granite Creek, named for the creek flowing through the property, also installed no irrigation. Gary, noting a long-term trend to drier weather, has decided to irrigate new plantings, if only to get the vines well established. Gary calculated that his vineyard project would really become viable with the opening of a winery, the third in the Shuswap Lake region. The idea was embraced enthusiastically by Doug and Mayka. 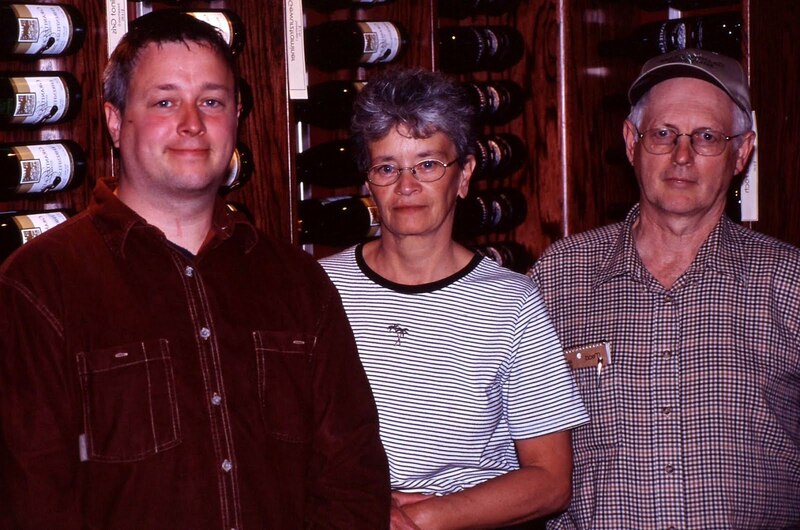 “My wife and I have been home winemakers for years,” Doug says. Trained in computer science, Doug started his business career in northern British Columbia with Schlumberger Ltd., an international oilfield service company operating in 100 countries. Doug soon found himself promoted to management and working in central Africa and Russia. He and Mayka, a chemical engineer and also a Schlumberger employee, have travelled Europe’s wine regions extensively. Starting with an initial production of 2,000 cases, Granite Creek is on its way to a target of 5,000 cases. The long-term plans call for building a new winery into a mountainside, using gravity in the production process and burying the cellars. The tasting room is currently on the ground floor of Gary and Heather’s home, with the existing winery just visible across a forested ravine. There is a picnic area and a seven-kilometre trail system that the Kennedy family has developed for hikers. It connects with a more extensive network of trails on adjoining Crown land, popularly with horsemen. And it is well worth making an appointment for a tour. The family is thorough about it, spending up to 90 minutes on a leisurely walk through the winery and its bucolic surroundings. Perseus Winery & Vineyards is Penticton’s in-town winery, with its location in a heritage house near the start of Lower Bench Road. To handle the growing number of patrons, the winery is expanding with an 800 square foot addition that will include a bistro. It is expected to be open by June. Perseus was launched in 2009 by three Penticton businessmen, including Larry Lund, the long-time operator of Penticton’s famous hockey academy. In 2011 the founders sold majority ownership to Terrabella Wineries Ltd. Run by Summerland accountant Rob Ingram, with two partners, Terrabella is an umbrella company developing wineries in four locations. Property acquisition is currently underway in West Kelowna for a second winery. The other two occasions have not been confirmed. Each winery will operate under its own name, which means that the Perseus shingle will continue to hang at the Penticton winery. 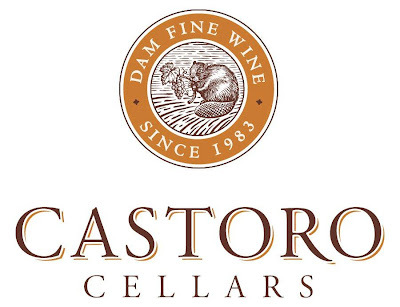 The wines currently in the market have been made by two of British Columbia’s best winemakers. 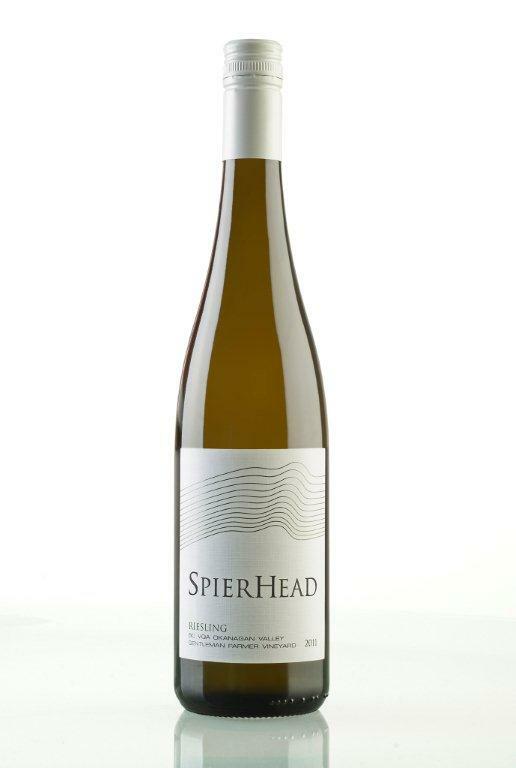 The winemaker for the 2009 and 2010 vintages was Lawrence Herder, a proprietor of Herder Winery nears Keremeos. He moonlighted as a sought-after consultant with a number of B.C. wineries while getting his own winery established. The Perseus contract helped finance his new vineyard tractor. When he decided to wind down his consulting work, winemaking at Perseus was turned over to Tom DiBello, the former CedarCreek winemaker who now consults from his base at Okanagan Crush Pad Winery. Tom’s fingerprints are all over these wines, since he would have finished the 2010 reds, still in barrel when Lawrence passed him the cellar keys. I can’t say that a style has yet emerged with the whites. Two of the whites were almost austerely dry while a third white, a Pinot Gris, was packed with fruit. I will be curious to see which Tom DiBello will stand up when the 2012 whites are released. The personality of the reds is more of a piece: the wines are generous in texture and flavour. Perseus Pinot Gris 2011 ($16.90). This is the crisp and fresh style of Pinot Gris, with aromas of citrus and apple and with flavours of pineapple and peaches. The finish lingers for a long time. 90. Perseus Sauvignon Blanc 2011 ($17.90). Rather austere in style, the wine begins with aromas of herbs and citrus. On the palate, there are flavours of grapefruit and grapefruit rind with herbs on the bone-dry finish. 87. Perseus Viognier 2011 ($21.90). This is a dry, mineral-driven interpretation of the varietal, with aromas of citrus and pineapple and flavours of apricot, cardamom and pineapple. 87. Perseus Merlot 2011 ($21.90). Here is a Merlot with an engagingly youthful character, brimming with fruit. It starts with cherry and vanilla aromas and delivers flavours of blueberry and blackberry. The tannins are ripe and fairly soft. While the price telegraphs a wine that can be cellared for the long term, I would prefer to drink it now, when it shows enthusiasm, not maturity. 88. Perseus Cabernet Franc 2011 ($26.90). It is wines of this quality that explain why the star of Cabernet Franc is on a rise in the Okanagan. It is a vibrant red, with raspberry and cherry aromas and flavours and a lingering hint of red liquorice on the finish. 90. Perseus Cabernet Sauvignon 2010 Select Lots ($50). The 2010 vintage was supposedly cool but this wine came from a remarkable microclimate that produced fully ripe grapes and a wine with 15.1% alcohol. You are not aware of the alcohol because the wine has such luscious texture and flavour. It begins with aromas of mint, vanilla, red berries and oak. It has a core of vibrant, sweet fruit, with flavours of raspberry, black currant, chocolate and vanilla. The structure will support cellaring this delicious wine for another five to seven years. 91. Perseus Cabernet Shiraz 2011 ($21.90). This is 44% Cabernet Sauvignon, 43% Shiraz and 13% Cabernet Franc. It is a wine with an earthy, rustic appeal, beginning with blueberry, vanilla and black currant jam. On the palate, there are flavours of blackberry, black cherry and prune, with a note of pepper on the finish. 90. Perseus Invictus 2010 Select Lots ($32.90). This is another ripe and generous red. It is 56% Merlot, 29% Cabernet Sauvignon, 9% Petit Verdot, 4% Cabernet Franc and 2% Malbec. It begins with aromas of vanilla, oak and plums and has flavours of plums, prunes and the dark fruit flavours that reminded me of a plum pudding, perhaps because the wine is so rich in texture. 91.